Gideon Bienstock and wife Saron Rice have developed a very small and young vineyard in the northern limits of the Sierra Foothills AVA. 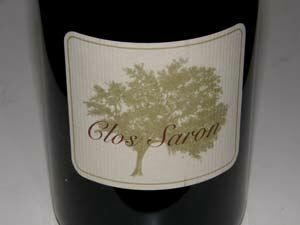 Gideon has over 28 years of experience in the wine industry as buyer, seller, educator, writer and winemaker (he is also the winemaker for the famed and nearby Renaissance Vineyard & Winery) and Saron has considerable knowledge of viticulture. Together, they have set a goal to transcend all of the preconceived notions that exist about what winegrowing possibilities exist in this region. What they have started, and what they have accomplished to date, is highly unusual from just about every point of view. They only work with organic fruit and farm all of their grapes, including sourced grapes, themselves. 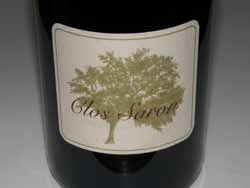 They specialize in Pinot Noir and non-traditional blends of other red and white varietals. Winemaking is pure and simple - no acid corrections, no fining or filtration, no inoculations, no racking and very minimal sulfur dioxide additions during barrel aging. The Home Pinot Noir Vineyard and tiny winery are located in a cool microclimate in the Oregon House Valley just west of the Sierra Nevada mountain range. 4,500 vines are planted on a gentle, well-drained, north-east facing slope. The Sierra Foothills AVA is very large, consisting of eight counties and stretching 170 miles along the Sierra, with elevation ranges from 1,000 to 3,000 feet. The AVA is ideal for cool-climate varieties that thrive on northern exposed hillsides at higher elevations. The heat-loving varieties do best on southerly or western exposed slopes at lower elevations. There are many small producers in the Sierra Foothills AVA and most are family-run, selling all of their production directly to consumers. 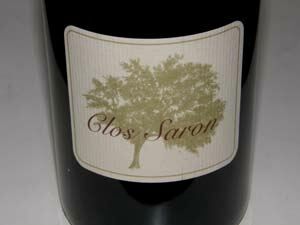 Clos Saron is located at 9269 Collin House Rd, PO Box 1004, Oregon House, CA. 530-692-1080. I have visited and tasted in the small winery on the property with Gideon in the past. For those looking for a unique setting and an adventurous trip, I highly recommend a visit. The wines are sold through a mailing list.